‘Tis the season for network television shows to be renewed or (gulp) canceled. But in the case of NBC’s time-travel saga Timeless, the series was canceled, then UN-canceled and given a second season. Here’s how it went down. 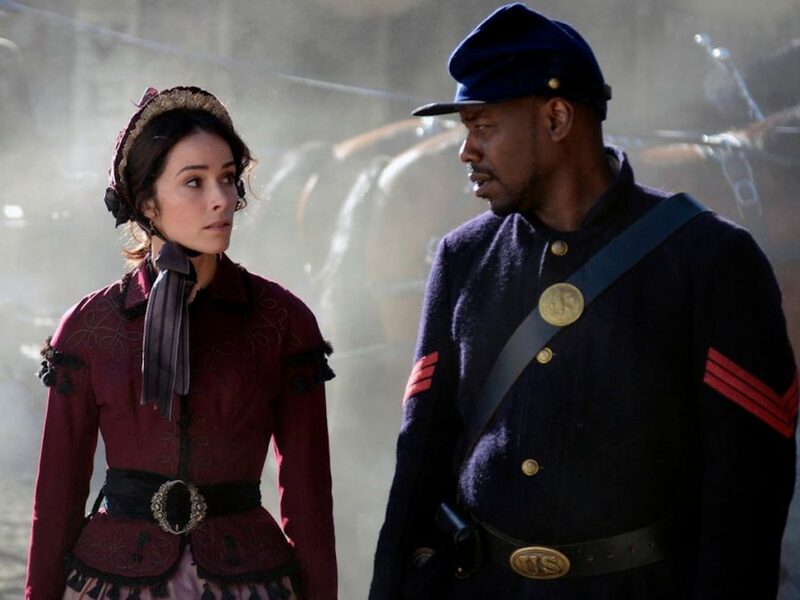 Three days ago NBC announced their decision to cancel Timeless, a show that has a crazy-loyal fanbase, but unfortunately hasn’t become a super-mega-breakout hit like its sister drama on the network This Is Us. Its true. NBC canceled #Timeless. We're surprised & upset. Get you a longer response later. Odds are long, but trying to find another home. 2. As @therealKripke mentioned, Sony will look for another outlet. Don't know the viability of that, but know there's intense fan love. And then a freaking MIRACLE happened. Kripke tweeted early Saturday morning that, thanks to UM MAYBE TIME TRAVEL, the show had been uncanceled! But we ARE getting a ten-episode Season 2. Oh frabjous day! Callooh! Callay! Yay Team Timeless! See you in 2018 for more timey-wimey adventures!